Kinshasa (Agenzia Fides) - Two other priests were assaulted in the Democratic Republic of Congo. 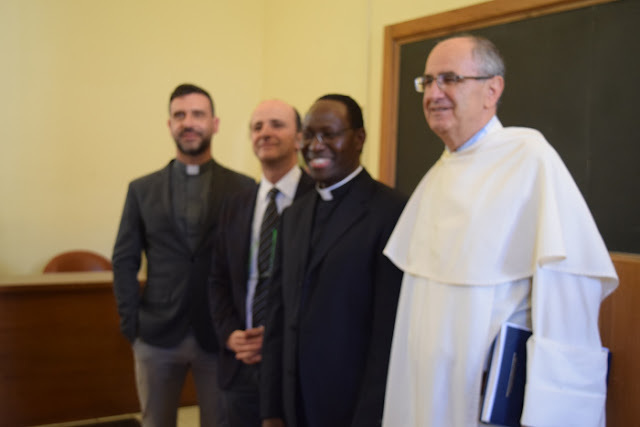 According to news sent to Agenzia Fides, the parish priest of the church dedicated to Blessed Isidoro Bakanja in the Seka-Mbote district of Boma, in the extreme west of the Country, Fr Pierre Mavinga and his vicar, were attacked on the evening of 10 April. "It was about 8 o'clock when a dozen hooded bandits, some in military uniform, invaded our premises, fired point-blank range with real ammunition. They beat us and took our phones, computers and a little money" says Fr. Mavinga. Fr. Mavinga is currently hospitalized, and was wounded as a result of a hammer hit inflicted by the attackers. The assault on the two priests of Bomba happened two days after the murder of Father Étienne Sengiyumva, pastor of Kitchanga in the east of the country (see Fides 9/4/2018). For some time the Catholic Church has been intimidated and threatened by the government and armed groups. "Convocations before the court or arbitrary arrests, kidnappings and/or killings. This is the fate of many priests and others consecrated in the Democratic Republic of Congo in recent times", say to Fides sources of the Congolese Church who for security reasons ask for anonymity. "This situation is increasingly disturbing, as the Catholic Church has taken a leading role in finding solutions to the political crisis that has paralyzed the DRC".